Do you remember the smell of your childhood home? Or perhaps a specific lotion that you got on that Hawaiian vacation? Our sense of smell is one of our strongest and most powerful senses. A single whiff can open a floodgate of memories and affect how we feel emotionally and sometimes even physically. We can tap into this superpower by using our sense of smell to help us relax or to feel more energized when we want to. With so many essential oils available, we can anchor feelings of relaxation, energy or pure nirvana! 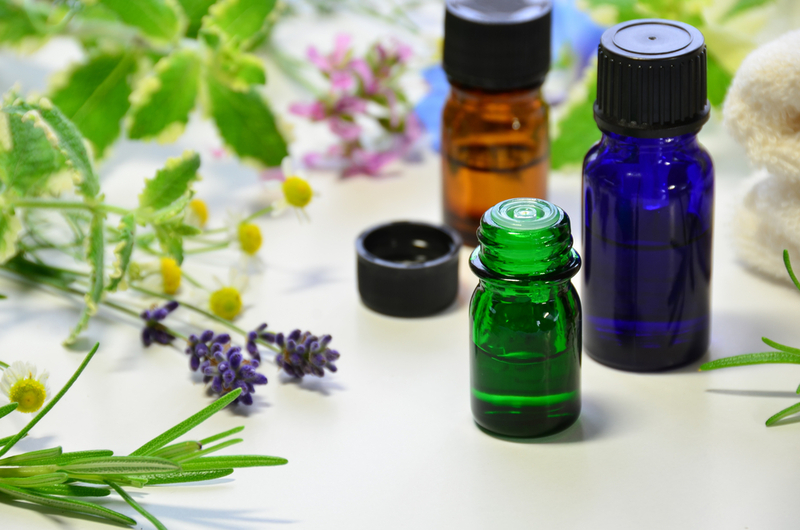 Essential oils have been used since the beginning of time. They are used in everything from relieving congestion to creating a wonderful scent in our homes, but what exactly are they? An essential oil is a highly concentrated plant oil that can be applied, inhaled or mixed in food and other products. Most essential oils come directly from plant material, although most citrus comes from the cold-pressed rind of the fruit. By using essential oils in our homes, our offices, and our massages, we can anchor feelings with specific scents and then bring back those great feelings when we bring back the scent. If you incorporate aromatherapy into your massage and then place that same or similar scent in your home, you can be transported back into a state of bliss with a single deep inhale. When essential oils are added to massage oil, you can gain the benefits through absorption as well as through inhaling the scent. Certain essential oils can help calm you and reduce the stress you may be feeling. A great therapeutic massage alone can help you relax, but when combined with essential oils such as Lavender and chamomile, the feelings of relaxation are increased, and the scent is anchored for later retrieval. Rosemary, citrus, and eucalyptus are a few essential oils that can aid in clarity, focus and increased energy. Incorporate them into a massage or place them in a diffuser in your workspace for that feeling of boosted energy all day long. You can make your home, your office or anywhere else for that matter, a sanctuary of great feelings. Don’t take for granted the power of scent and be sure to look for ways to incorporate those that open the doors to positive feelings and memories.